At least at one point in our lives, we’ll experience the painful, torment of a breakup – whether between a trusted friend or a loved one. It’s nasty and one for which no foolproof solution has yet to be presented. In the class of misery, band breakups are just as devastating. The thought of not being able to experience the synergy of the members live or through new songs is utterly tragic. The only hope is through their body of work. 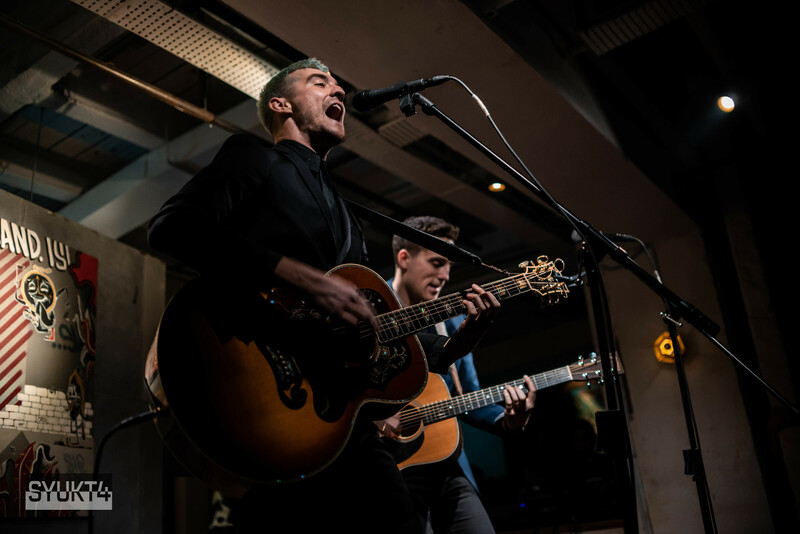 The songs the band has immortalised help stir those memories and through Kyle Patrick’s solo performance at the Kilo Lounge last Friday, The Click Five was alive again. Since his self-titled EP, he’s taken a step back from performing and moved into the other side of the booth, engineering and ensuring that the final product is the best that it can be. 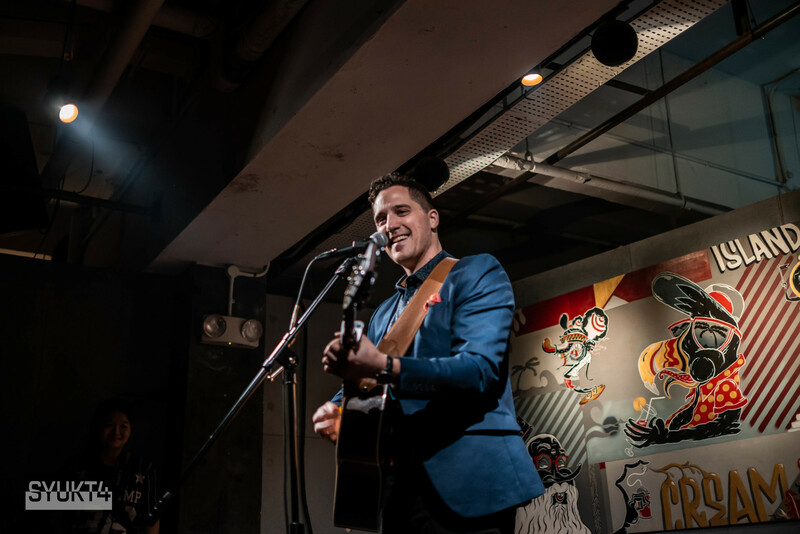 His most recent project is New York singer-songwriter Jesse Ruben’s – who was embarking on his own debut tour in Asia and supporting Patrick at his shows – debut EP Hope. 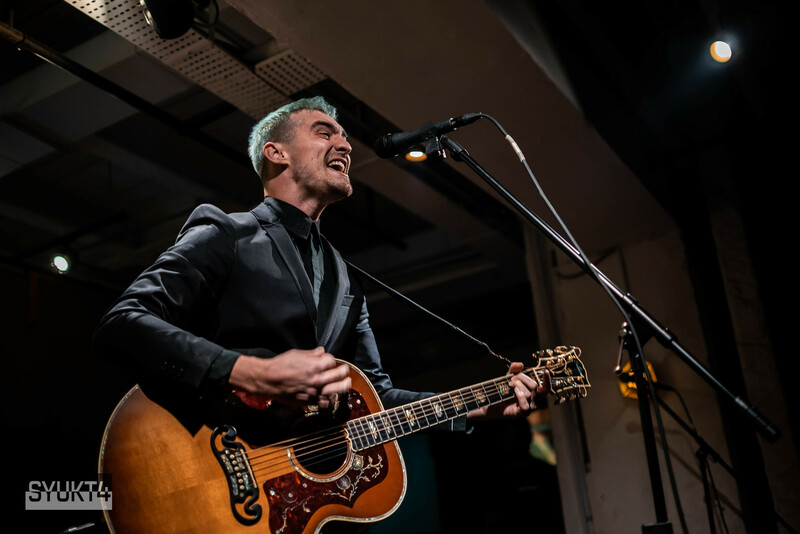 Ruben was playing to a crowd which mainly wasn’t there for him and which probably haven’t listened to his songs but, by the end of his set, was bowled over by his wits, charms and talent. In between songs, he regaled everyone with anecdotes of his life – hilarious and touching – and when he was singing, every word dripped with conviction from the struggles he had gone through. It was especially during his last song, ’This Is Why I Need You’, which was written when he overcame his fight with the life-threatening Lyme disease, that triggered a heartwarming moment – akin to the scene in The Grinch when Cindy Lou turned the Grinch’s heart of stone real. Patrick’s set started the worst ways it could have. After just two lines into the opening song, one of his guitar strings broke. He exclaimed, “What the f***?” and laughed. After handing off his guitar, he sheepishly reassured the audience that he was ready and proceeded to serenade. Listening to the familiar Click Five songs in an acoustic mode was an unbelievable experience. There weren’t any strobe lights, captivating visual backdrops or the intensity of a full band; only one guy and his guitar, crooning the songs you grew up listening to. Never could we have imagined that the sound would be of a whole other level. With a band that has amassed a huge following and sold out stadiums, the fans it has converted are loyal to a fault. When Patrick blundered, the fans where there to pick him up. When he forgot the lyrics to the songs, the fans filled in the blanks with voices so loud. And when his nerves took over and he blanked out, the fans shouted songs they wanted him to play and he took them in. At one point, in between songs, he admitted he was getting very emotional from the love he felt from everyone in the club, to which, someone shouted “yeah” with a low, growling voice. He was amused and mimicked the person, replying with the same low, gravelly voice. “Emotions”, he shouted. Quite the comic relief but as you watched him, you could see the gratefulness he felt that he got to communicate with fans in such a playful manner. Towards the end of his set, he got off the stage, stood in the middle of the crowd, unplugged and urged the audience to minimize our cheers and screams, in order to hear his guitar. 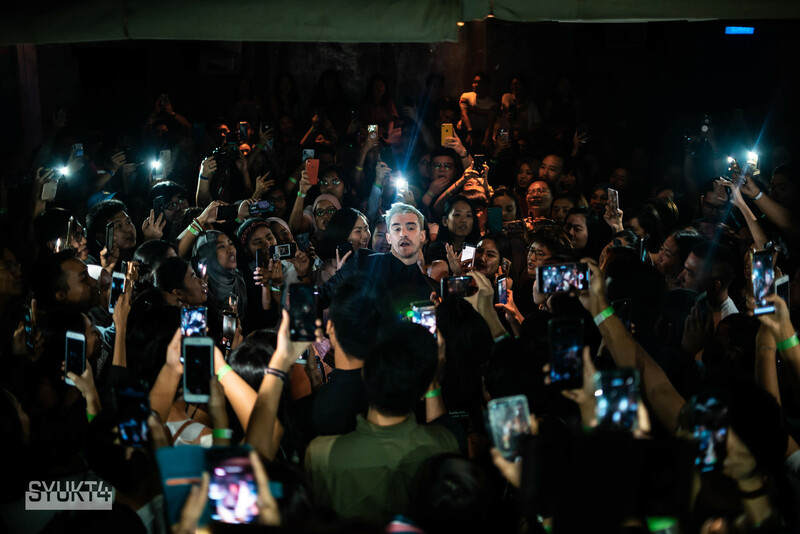 Encircled by fans, most of them with phones with the flash on and pointing them directly at his face, he sang, letting the guitar and vocals seep through every crevice in the room. He closed out his show with ‘Jenny’ with the audience providing the backup vocals and ad-libs so naturally. After the show, both Patrick and Ruben spent almost two hours meeting all the fans. They took their time with each and every one, making sure that any photo requests, however weird, were fulfilled. Needless to say, the dreams of everyone’s then 12-year-old self became reality that night. The passion, drive and sincerity he felt because of what music has done for him was projected to the fullest extent. Indeed, with this in mind, Patrick's future looks like an exciting one. Special thanks to The Linch Agency for the invite.